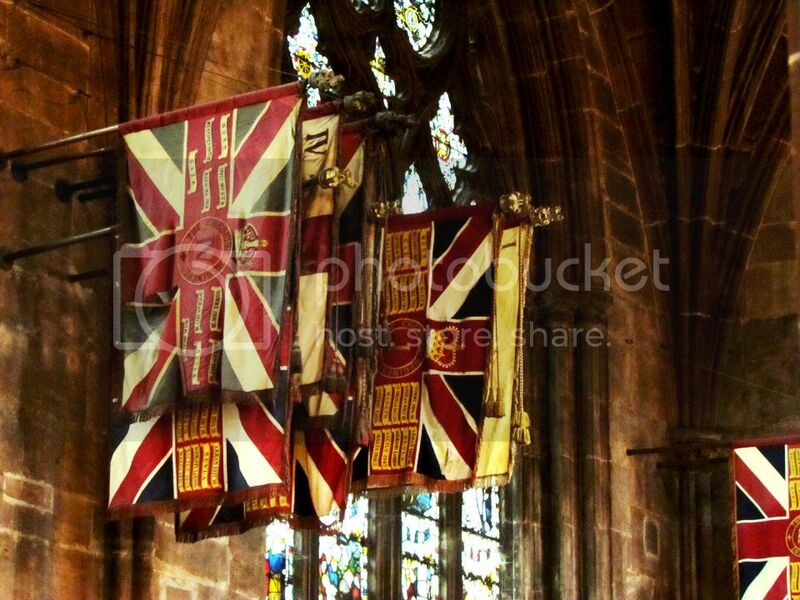 Still feeling patriotic after the Queen passed the milestone of being the longest reigning British Monarch, I snapped these military flags in the south transept of Chester Cathedral after seeing the giant Queen Elizabeth and Queen Victoria meet by the city gates. It's always hard without a tripod to take a photograph in dim cathedral conditions so they are not as clear as I like. But I love it when flags are grouped like this in churches and cathedrals, beautiful rich colours and of course the Union Jack is the basis of them. These are possibly flags of the Cheshire Regiment.